Teams operating in confined spaces within hazardous industrial buildings or process facilities understand all too well the importance of adhering to strict health and safety regulations. The hazards that confined spaces present can be physical or atmospheric in nature – from the risks of asphyxiation or entrapment to exposure to extremes of temperature or the release of toxic chemicals. According to the Census of Fatal Occupational Injuries, on average two people die in the US every day as the result of incidents that take place within confined spaces. In many cases too, it is not just the victim who is at risk, but the rescuer or first responder who may be unaware of the hazard they are about to encounter. Directives such as the Occupational Safety and Health Administration (OSHA), the Control of Major Accident Hazards Regulations (COMAH), the Dangerous Substances and Explosive Atmospheres Regulations (DSEAR), Atex and many others all have a pivotal role to play in ensuring safety. 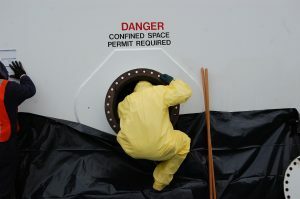 But despite the emphasis on prevention, any potentially harmful chemical release, and specifically one that occurs within the context of a confined space, will require personnel who are skilled and confident to handle a variety of complex challenges. With these challenges in mind, a new app-based multigas simulator technology, specifically designed for use in confined space settings, is scheduled for release in late summer 2018. 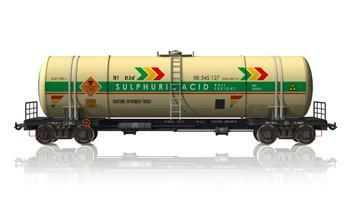 And the new system looks set to deliver an enhanced level of realism for industrial HazMat training scenarios. 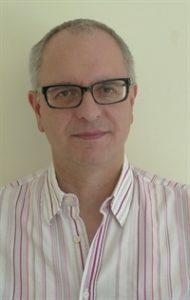 The use of simulation technology for chemical warfare agent (CWA) training is already well established, with intelligent, computer-based training aids such as Argon Electronics’ PlumeSIM and PlumeSIM-SMART systems currently in use by military forces around the world. The launch of PlumeSIM in 2008 provided CWA and CBRN instructors with a simulation package that enabled them to use their laptops, in conjunction with a map or images, to plan a diverse range of field and table-top exercises. 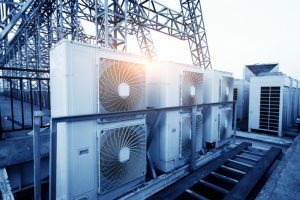 The type of substance, whether a single or multiple source and an array of environmental conditions (such as wind direction and speed) could all be easily configured. And the innovative technology enabled whole exercises to be recorded for after action review (AAR) and future contingency planning. In 2016 came the introduction of PlumeSIM-SMART – which offered similar capabilities to PlumeSIM but replaced the use of simulator devices in the field with the simplicity of a mobile phone. The ability to transform a mobile phone into a look-alike gas detector was to prove especially practical (and budget-friendly) for high-hazard industrial organizations and municipal responders. And using mobiles offered some additional and unexpected benefits in that it enabled field exercises to take place in any location. The newest addition to Argon’s simulation technology portfolio has been devised for specific use within the training environs of confined spaces and multi-level buildings. The device will offer HazMat instructors the flexibility to simulate specific levels and concentrations of gases, whether these be in the form of a gas escape or a dangerous device (or devices) concealed within a building. It will also be highly configurable to enable instructors to select the use of either single or multigas sensors within their training scenarios. The hardware will be identical to that currently available for CWA training and toxic industrial response training. It has also been configured to interact with existing hand-held gas detection simulators, such as PlumeSIM-SMART, to provide an enhanced level of realism and a more focused training experience. Simulation sources will be able to be set to emit a signal that replicates the conditions of a particular substance, a low level or oxygen or an explosive atmosphere. And as students move around the training environment, their display readings will adjust accordingly to simulate an event such as a breached alarm. The latest detector also promises to overcome the issues posed by communications interference within buildings where GPS technology can often be limited. Working in confined spaces within industrial complexes can present a daunting array of hazards, both for the staff operating within the facilities and for the emergency teams charged with first response. The continued development of simulator technology can help to address these challenges by providing realistic, hands-on training opportunities that replicate real-life conditions. This article was originally published in the Argon Electronics website. In use worldwide, Argon simulators have applications for training and preparedness within civil response, the military, EoD, unconventional terrorism / accidental release, and international treaty verification, with a growing presence in the nuclear energy generation and education markets. We have been granted a number of international patents in this field. The Nova Scotia government recently announced that it is taking the first steps to determine what’s needed to remediate a former construction and demolition site in Harrietsfield, Halifax Regional Municipality. 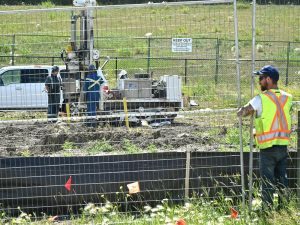 Nova Scotia Lands Inc. will commission a site assessment this summer to determine the extent of contamination, how long it will take to remediate and how much it will cost. It will also determine the condition of the existing infrastructure and evaluate what potential impacts the remediation might have. The cost of the assessment is about $250,000. “This site has been a problem for the community for far too long. We’re taking an important and necessary action to address it,” said Environment Minister Iain Rankin. Two ministerial orders were issued in 2016, ordering the companies to assess the contamination that was impacting residents’ wells and submit a plan to remediate it. Those orders have not been followed. Mr. Rankin has invoked his authority under the Environment Act to ensure those orders are carried out. Under the act, the minister also has the authority to hold the former operators of the site responsible for the costs of remediation. “We will pursue all available options,” said Mr. Rankin. In 2016, the province had water treatment facilities installed at eight area homes where there was evidence that well water was being impacted by contamination at this facility. A court case is ongoing against two companies that operated the former RDM Recycling site between 2002 and 2013. The site assessment will not impact the court case. The last court date was in late June. The U.S. EPA recommends that communities have a Waste Management Plan (WMP) that addresses the management of waste generated by all hazards, particularly from homeland security incidents ranging from natural disasters and animal disease outbreaks to chemical spills and nuclear incidents to terrorist attacks involving conventional, chemical, radiological, or biological agents. 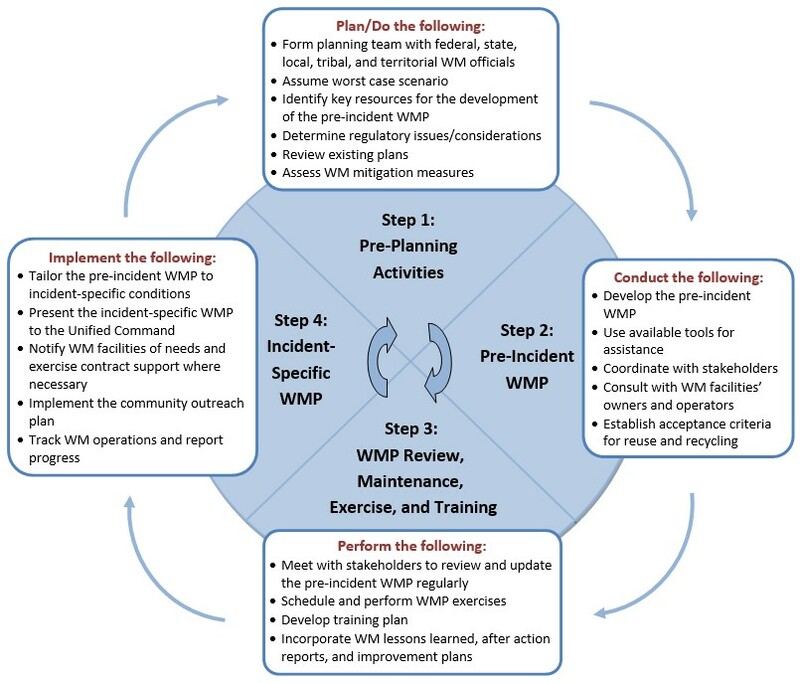 This tool is intended to assist emergency managers and planners in the public and private sectors in creating or updating a comprehensive plan for managing waste generated from man-made and natural disasters. The tool walks the user through the process of developing and implementing a plan. The tool also contains many resources that can be used as aids to various aspects of the planning process. View and use at https://wasteplan.epa.gov. 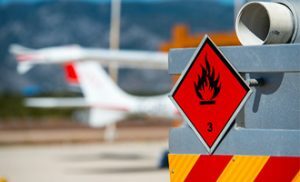 The International Air Transport Association (IATA) recently launched Dangerous Goods AutoCheck (DG AutoCheck), a new innovative solution for the air cargo industry, which will enhance safety and improve efficiency in the transport of dangerous goods by air, and support the industry’s goal of a fully digitised supply chain. “The air transport industry handles over 1.25 million dangerous goods shipments transported every year. With the air cargo growth forecasted at 4.9 percent every year over the next five years, the number is expected to rise significantly. To ensure that the air cargo industry is ready to benefit from this growth, it needs to adopt modern and harmonised standards that will facilitate safe, secure and efficient operations, particularly in relations to carriage of dangerous goods. DG AutoCheck is a significant step towards achieving this goal,” said Nick Careen, senior vice president, airport, passenger, cargo and security, IATA. The tool enables electronic consignment data to be received directly, which supports the digitisation of the cargo supply chain. 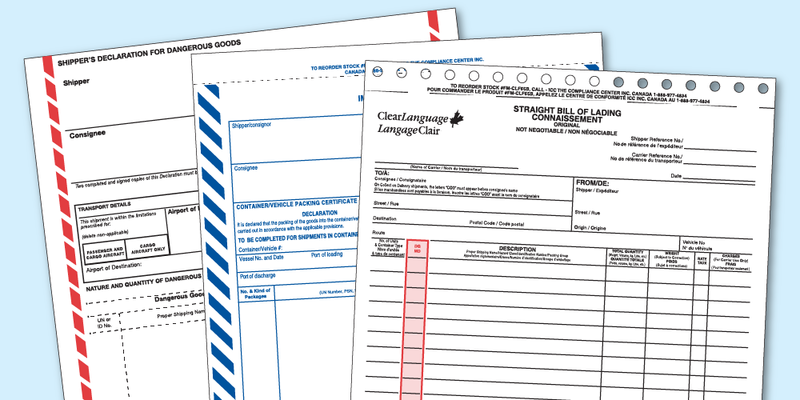 Optical Character Recognition (OCR) technology also transforms a paper DGD into electronic data. This data is then processed and verified automatically using the XML data version of the DGR. DG AutoCheck also facilitates a ground handlers or airline’s decision to accept or reject a shipment during the physical inspection stage, by providing a pictorial representation of the package, with the marking and labelling required for air transport. “The DGR lists over 3,000 entries for dangerous goods. Each one must comply with the DGR when shipped. The paper DGR consists of 1,100 pages. Manually checking each shipper’s declaration is a complex and time consuming task. Automation with DG AutoCheck offers us a giant step forward. The cargo supply chain will benefit from greater efficiency, streamlined processes and enhanced safety,” said David Brennan, assistant director, cargo safety and standards, IATA. Collaboration is critical in driving industry transformation, especially for a business with such a complex supply chain. DG AutoCheck is a good example of effective industry partnerships. An industry working group made up of more than twenty global organisations supported the development of DG AutoCheck. The group comprises airlines, freight forwarders, ground handlers and express integrators, including Air France-KLM Cargo, Swissport, Panalpina and DHL Express. “The air cargo supply chain is currently undergoing a major digital evolution. Collaboration across the industry is essential if the goal of a digitised electronic end-to-end messaging platform is to be realised. There is no time to lose as there is a growing demand from our customers for efficiency of electronic documentation throughout the supply chain,” said Nick Careen, senior vice president, airport, passenger, cargo and security, IATA.